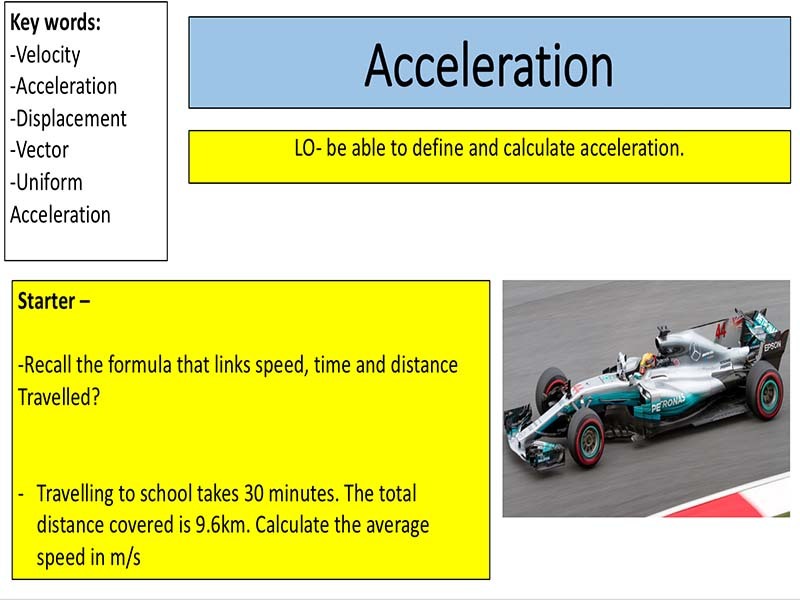 If you are looking for a lesson on the topic check out my acceleration lessson below: https://www.tes.com/teaching-resource/acceleration-11850810 Investigate: -the effect of varying the force on the acceleration of an object of constant mass -the effect of varying the mass of an object on the acceleration produced by a constant force. 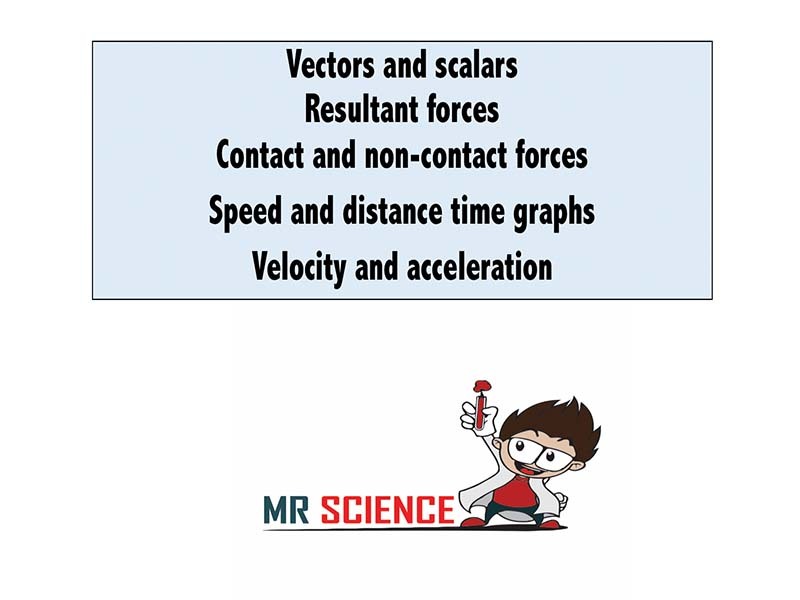 Check out my other resources at: www.tes.com/teaching-resources/shop/mr_science Contains 6 lessons covering: Vectors and scalars Resultant forces Contact and non-contact forces Speed and distance time graphs Acceleration Velocity Lessons are designed for the new AQA course. These lessons can be adapted to be used with other exam boards as all new science specifications now cover the same content. Check out my other resources at: www.tes.com/teaching-resources/shop/mr_science Designed for the new specification AQA GCSE( covers spec point 4.5.1.4 ) course but can be modified for other exam boards. 13 slides covering Resultant forces . 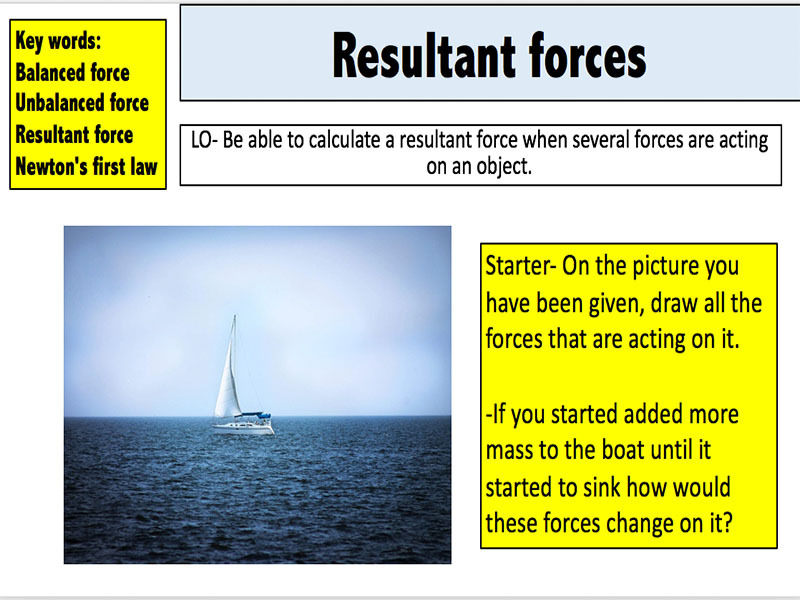 By the end of the powerpoint students would have covered: Add labels to a diagram to show several forces acting on it. Calculate resultant force produced by several forces acting on an object in coplanar directions. 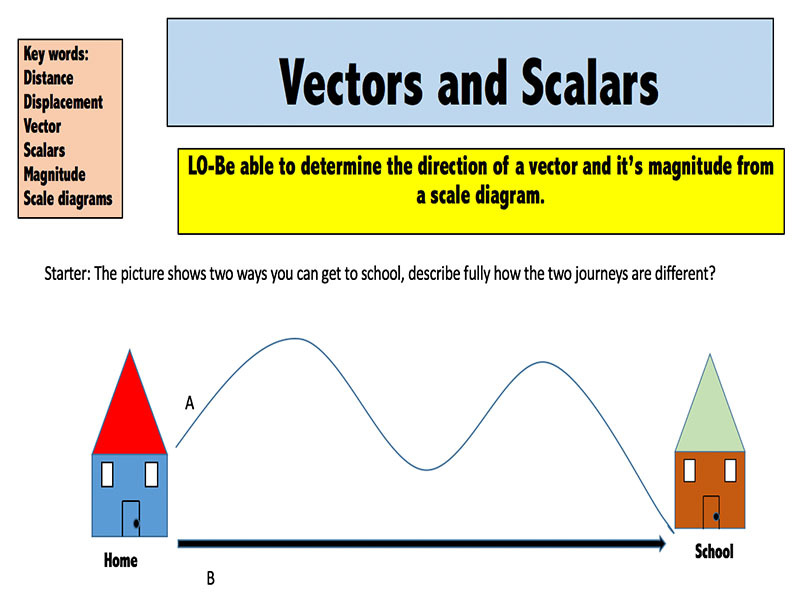 Draw a scaled free-body force diagram showing forces as vectors and find the resultant force vector. 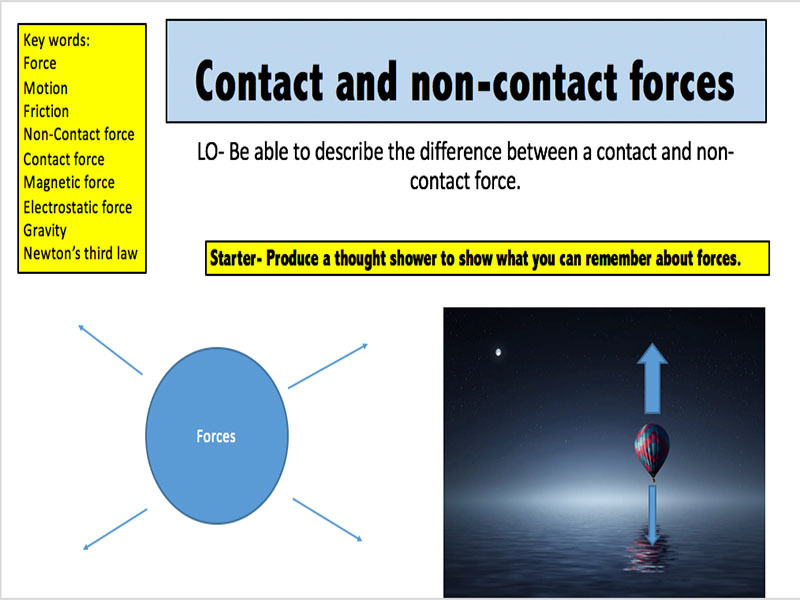 Check out my Forces bundle to save: www.tes.com/teaching-resource/forces-and-their-interactions-11498289 Designed for the new specification AQA GCSE( covers spec point 4.5.6.1.2 ) course but can be modified for other exam boards. 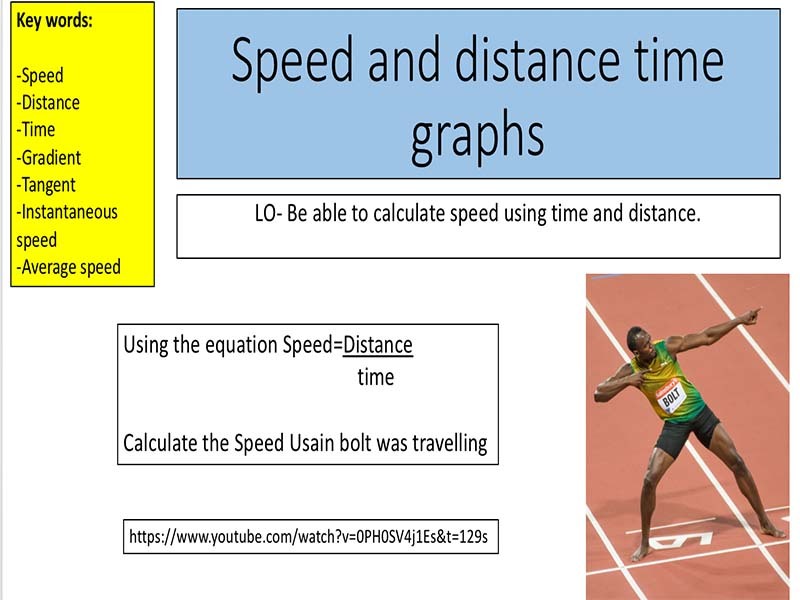 13 slides covering speed and distance/time graphs. 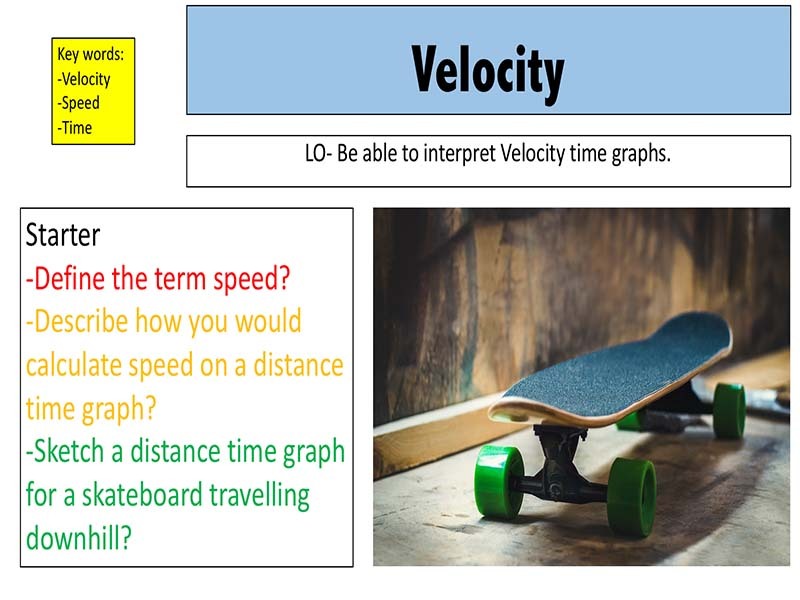 By the end of the powerpoint students would have covered: Use and rearrange the Speed equation; Describe how the gradient of a distance–time graph represents the speed; Describe the motion of an object by interpreting distance–time graphs.